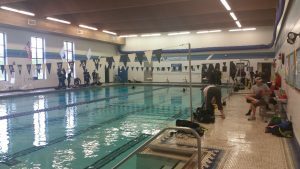 For CW2 (Confined Water Training day 2) any student that has preregistered & completed CW1 of our 3 day, group, Confined Water training weekend, for the Open Water Scuba Diver certification course should arrive to the designated pool location at the designated time. During this time we will be on SCUBA working in the water and practicing all skills needed to complete the Confined Water Training portion of the Open Water Scuba Diver Certification training program. CW1, CW2, and CW3 build upon each other and need to be completed in order on the same weekend.